These days, distilleries are big business, not only for the distilling of whisky but also as visitor centres – witness our new Ardnamurchan Distillery at Glenbeg – link here. However, at the end of the 18th and beginning of the 19th centuries, a great deal of distilling was carried out illegally by local communities as a way of raising money to pay their rents. 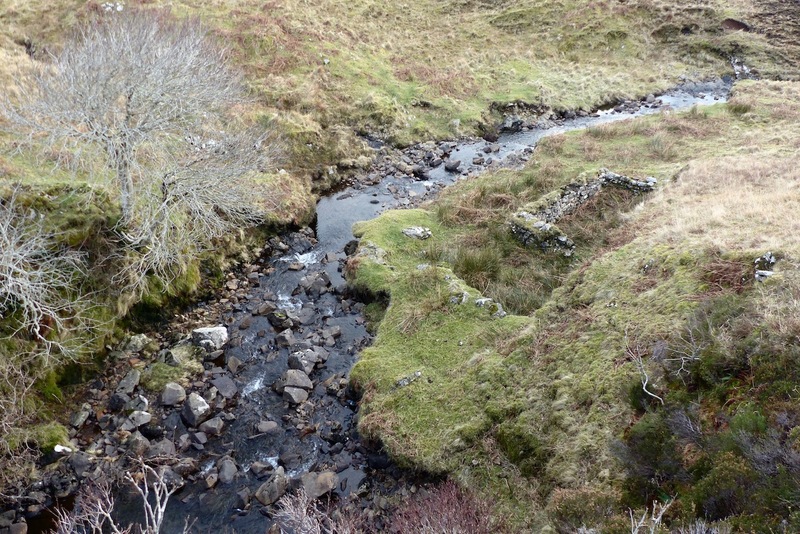 So far, we have identified two sites on Ardnamurchan which are fairly certainly distilleries dating back to those times, one of which we visited yesterday. 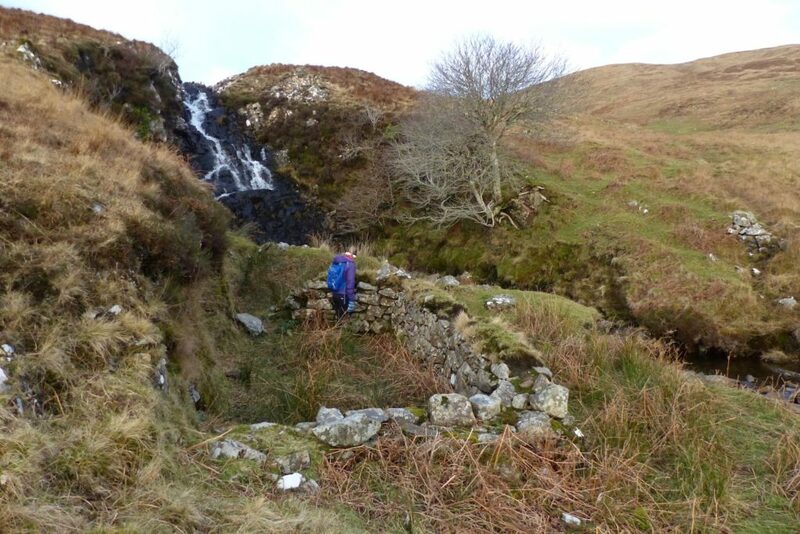 It lies on the Allt Rath a’ Bheulain to the east of Lochan Tom Mhic Iain, just below a waterfall from which the water used to cool the coil would have been led. Considering its probable age, it’s in remarkably good condition, and is one of many sites which remain to be fully described. This picture shows the building from the top of the waterfall. We assume that the stone wall at this end of the building is to prevent flood water from entering it.